...the only thing I don't love is that I can't grow them in my shady yard. Thankfully I have fabulous parents (one of whom grew up farming and can't seem to stop himself from working the earth each year to my delight) who planted several different varieties of tomatoes this year. Even though they came on late because of our cold spring, they had such a crop that the fruit was bending the tomato cages with their weight. I gladly volunteered to take some of the bounty; I stuffed myself with fresh tomato sandwiches for a couple days, and then had to decide what to do with the rest. The answer? Roast and freeze them, of course. I washed and quartered the tomatoes (unless they were super big ones, then I cut them into sixths). I scooped a lot of the seeds and their surrounding tomato goo out (but I wasn't worried about getting it all). Next I laid them out on a cookie sheet with sides and covered them in liberal amounts of extra virgin olive oil, kosher salt, freshly ground black pepper, italian herbs, and minced garlic. I even splashed some balsamic vinegar on there for good measure and some extra deliciousness. 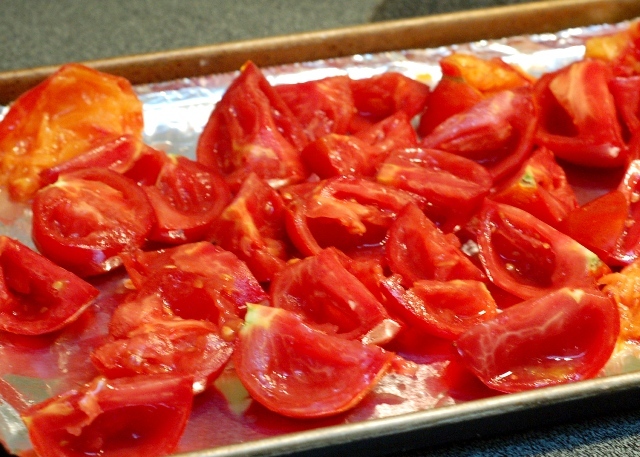 I slid the pan into my oven and roasted the tomatoes at 400°F for 45 minutes or so. Warning: the smell in your kitchen will drive you insane, it's unbelievably good. 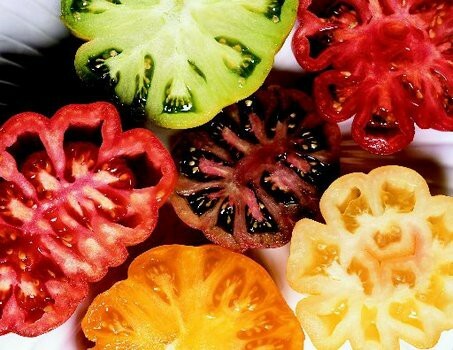 You want the tomatoes to reduce down in size, but you don't want them to be black and shriveled. There will most likely be plenty of juice in the pan that cooked out, and there might be some spots that are darkened. As long as they're not tough little hockey puck tomatoes you're okay -- the point is to leave them soft and squishy so you can mash them up instead of roasting them down to the point of tomato paste or sun-dried tomato status. 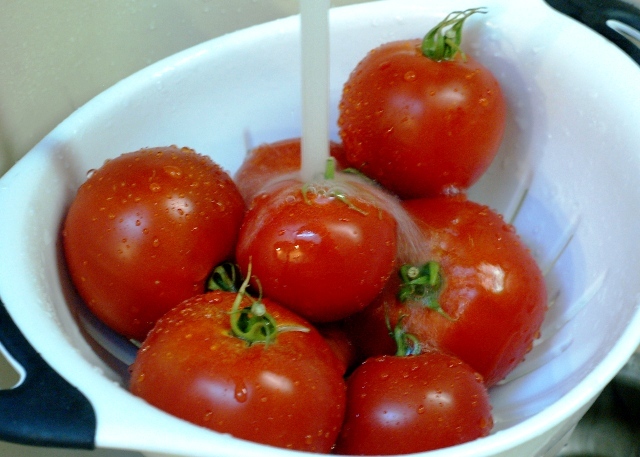 Remove the tomatoes from the pan and roughly chop them with a kitchen knife. It will be messy and the juices will run everywhere, so just make peace with that. 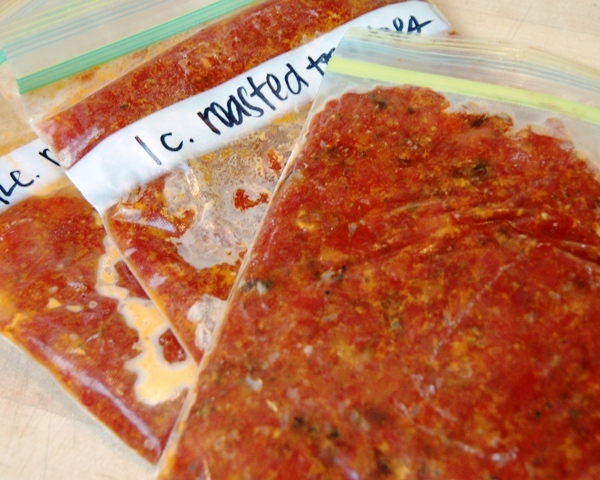 Scoop the tomatoes into freezer bags in whatever quantities your heart desires, and you are set for life (or at least until you run out). I even left the skins on -- except for a few big pieces that were really noticeable -- but I'm a daredevil and the skins on these were nice and thin; feel free to peel them before you cut them up if you prefer. Now I can have that gorgeous fresh roasted flavor for sauces, or soups, or even bruschetta. And the best part? 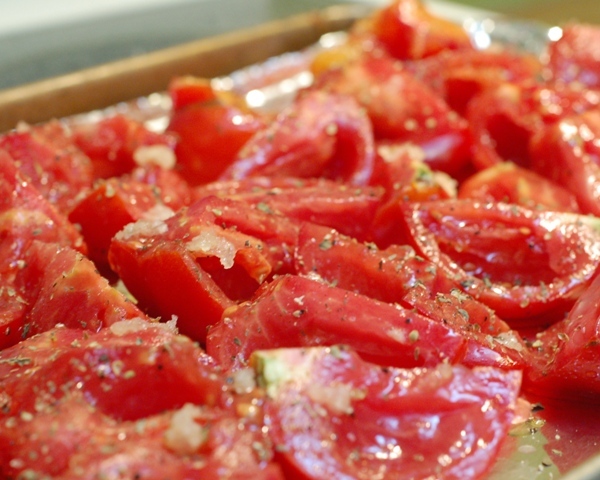 Even in the dead of winter, if you buy sad little Roma tomatoes at the grocery store and roast them like this, they will taste incredible (I'd probably peel those ones after I roasted them, though). Is not Pixelmator is simply a kind of abbreviation? Take a look here, if you discover within this original blog word which was custom research paper service, you'll have an obvious and the only person right way of pronouncing the entire new produced word. Wow! That's super awesome, I wish to have such rings! I am getting marry soon and that i found http://amysanchez.greatwebsitebuilder.com/ to locate my inspiration foe wedding band, however it did not work that well, I have my hands growing from another place. So it might be awesome, should you designed engagement rings for me personally. I'm composing from 2018! Endeavored to locate some new thoughts for little keepsakes we need to provide for our visitors and discovered your blog. I'm infatuated with your treats; they're brilliant even in 10 years from the minute you've posted them! In the wake of seeing them and perusing your suggestions, the main thing I should stress over is our - https://www.tripoto.com/trip/tripoto-5b4222d84418f . Not a major ordeal, but rather when you design everything and such little things fly up, that is not cool by any stretch of the imagination. Book Thailand Holiday Tour Packages in Delhi India Vacation Trip Planner.